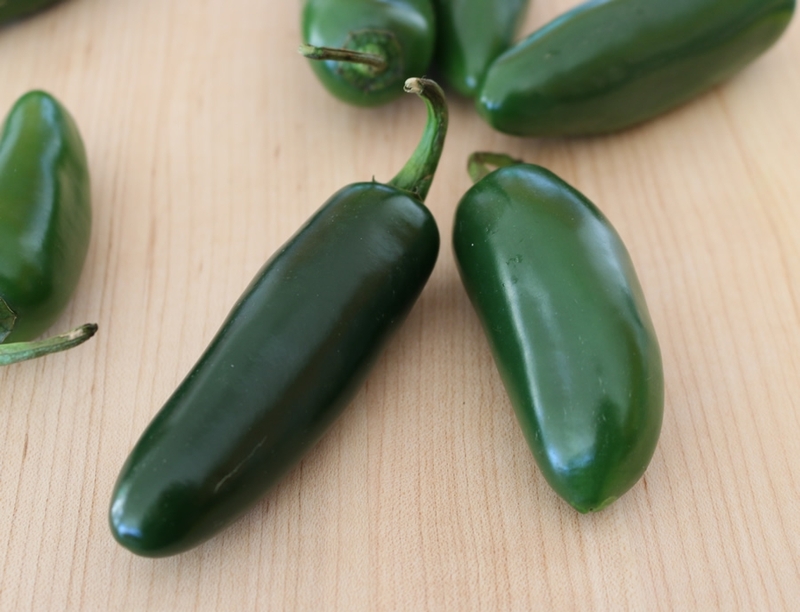 Why Do Jalapeno Pepper Heat Levels Vary from Pepper to Pepper? It’s true. I’ve noticed that some jalapeno peppers are hotter than others. Some can be quite mild, while others can be downright eye watering. I prefer somewhere in the middle, but this is something that cannot be avoided. Why Are Some Jalapeno Peppers Hotter Than Others? While the jalapeno heat is contained in the whitish innards and veins (or placenta) of the pepper, jalapeno pepper heat levels do vary depending on many factors such as age of the pepper, thickness of the inner placenta of the pepper, when and where it was grown (including climate and soil conditions of that location and cultivation), not to mention weather and amounts of rainfall. That said, a jalapeno pepper can vary in heat level from between 2,500 and 8,000 Scoville units. Learn more about Scoville Heat Units. If you find that a pepper is too hot, you can always reduce the heat by removing the whitish innards, but it is difficult to make them hotter without adding a different source of heat, such as a hotter pepper like serrano or habanero. Also, the red jalapeno peppers tend to be sweeter and not quite as hot, so you can choose those. Jalapenos will turn red the longer they are on the vine and eventually fall off. So, next time you select your jalapeno peppers from the grocery store, or most other peppers for that matter, you can expect some heat variety. Great article! One question I have is, if you are going to make and bottle your own salsa, with the varying levels of heat from jalepeno to jalapeño – How do you maintain a consistent scoville / heat for the salsa? My fiancé has me taste test her salsa each time she makes it to ensure it’s not too hot but also not too mild. Essentially, we are looking to bottle our salsa for resale at our local farmers market. Hi, Joe – it can be tough, as jalapenos and other peppers do range in heat. You can always make larger batches, which will be easier to homogenize the overall heat. Also, be sure to use the same resources for your peppers. I hope this helps! I was watching a food show on the Travel Channel the other day. It was Adam Richman’s Man vs Food. At one point in the broadcast he mentioned that seeds were the hottest part of the chili pepper and that burns me up because it is not so. I like Adam, and his show – but he is wrong on this one.Capsaicin, which is the chemical compound that contains fiery heat, is actually concentrated in the inner white pith or rib of the chile pepper. While the seeds may be coated with some of the capsaicin since they’re in contact with the rib, they themselves don’t actually contain any heat.This is a good reminder that if you want to take some of the heat out of the pepper, be sure to cut away and remove the pith and rib in addition to the seeds!